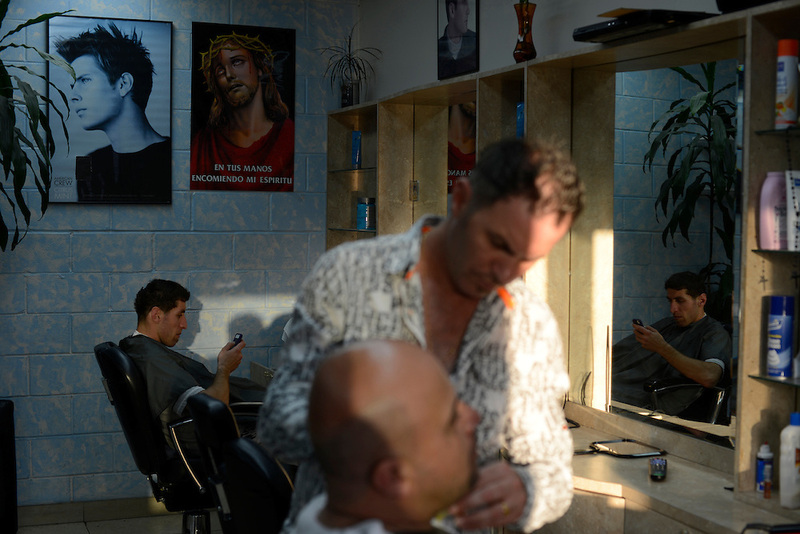 Iraqis refugees getting a haircut and a shave at an Iraqi owned barbershop. Thousands of Iraqi refugees arriving in the town of El Cajon in recent years are transforming the community that lies just north of the US-Mexican border, at the heart of the debate on immigration in the United States, historically dominated by immigrants from Latin America. El Cajon, CA, USA. 04/05/2013.